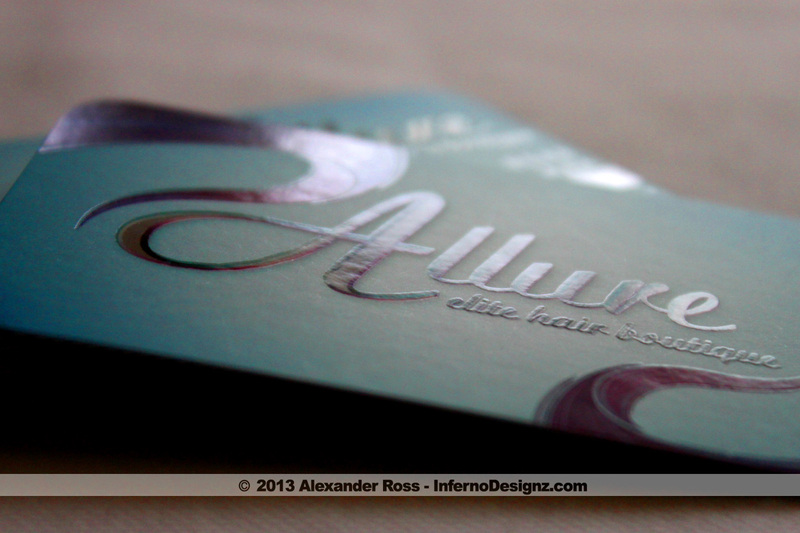 Allure Elite Hair Company, based out of Miami, Florida offers Brazilian, Malaysian, Peruvian and Eurasian Hair Bundles. We created the 3D Logo to add depth and an extra element on the Premium Business Cards. 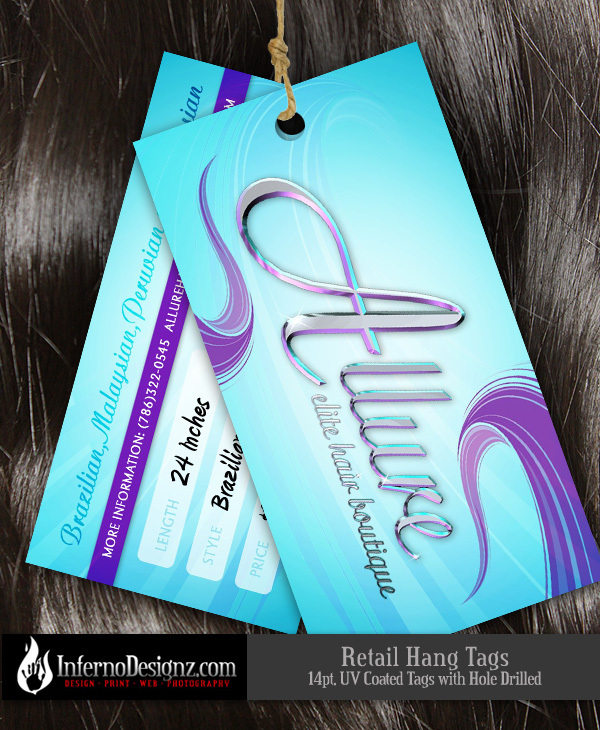 The Hang Tags were designed to hang from hair product in packaging. 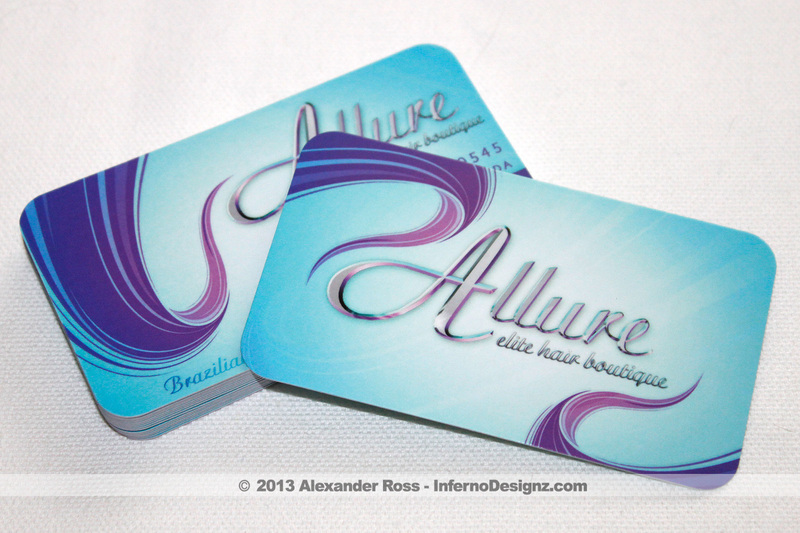 The contain pricing, hair length and hair style.